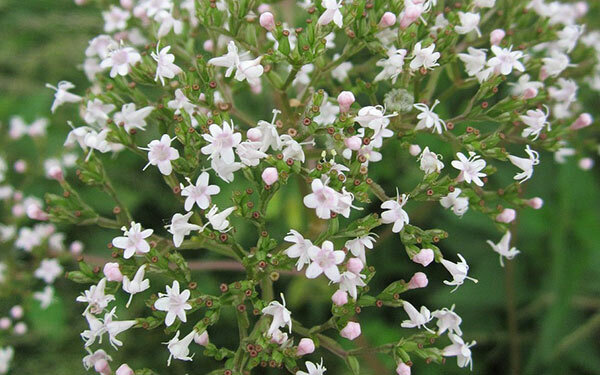 It is an erect, perennial plant, found in Himalaya region of India, it grows up to four feet tall, leaves arranged pinnately, divided and heart-shaped, .flowers are pink or white born on the leaf top as clusters. The roots are brown, hairy and spindly mass. 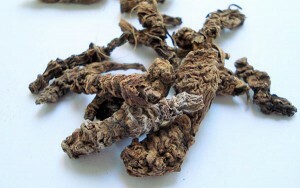 The rhizomes are the useful plant part used as medicines in Ayurveda, which is greenish-brown in color and hard. To reduce high BP, stress and anxiety, to cure muscle spasms and menstrual cramps, nervous, eye disorders, asthma, menstrual disorders, muscle cramps, blood and liver problems. Alkaloids (Chatarine and Valerianine, valerenic acids), Arginine, hydroxy valerenic acid, acethoxy valerenic acid, Tyrosine, and Glutamine.